Raazi has yet another awesome day as it brought in 3.70 crore on its second Monday. The film fell very little when compared to its second Friday (4.75 crore) and now around 10 crore more are expected to be added to its total by the time the second week is through. Currently, the film stands at 82.03 crore and the 100 crore mark would now be reached by the end of third weekend itself. The film would then be officially tagged as a Blockbuster and one now waits to see how much further does it go post reaching that milestone. Deadpool 2 is struggling though as collections are not quite holding up. After gathering 11.25 crore on Friday, the film fell by more than 50% as only 5 crore* came in. This is not really a norm in the current times for successful films as typically they do hold on if the weekend trending is good too. In case of the Hollywood superhero film though, while the weekend number was healthy the trending suggested that there won’t be much of a hold. This is what’s happening and now the film stands at 38 crore*. Those who had invested in the film would just be hoping that there are no major drops for the rest of the weekdays and there is some sort of stability that comes in. 102 Not Out collected 65 lakhs more on its third Monday and that’s a very little fall when compared to third Friday numbers of 75 lakhs. The film is staying decent, albeit on the lower side, and now the total stands at 46.28 crore. 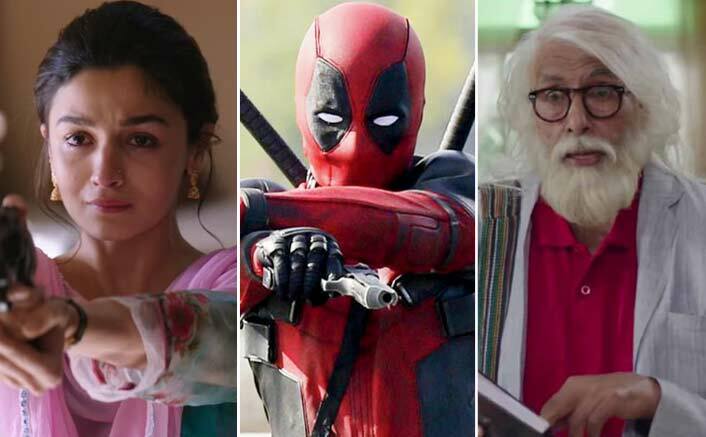 The post Box Office Collection: Raazi, Deadpool 2 & 102 Not Out Monday Update appeared first on Koimoi.